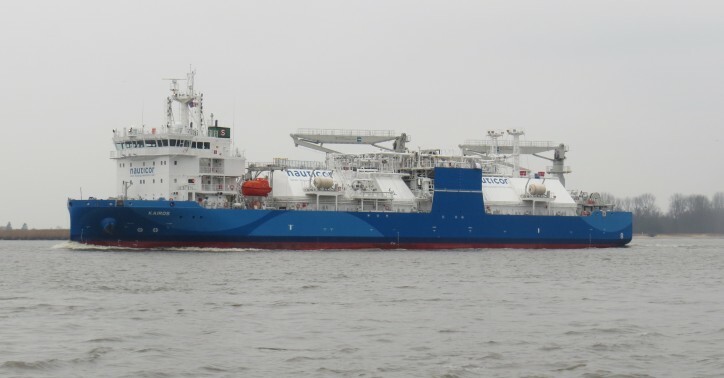 On April 15th , 2019, the world’s largest bunker supply vessel (BSV) for liquefied natural gas (LNG) “Kairos” provided LNG in a ship-to-ship bunker operation to a product tanker. “Fure Valö”, a vessel of the tanker pool managed by the Gothia Tanker Alliance, received LNG at the anchorage area of Sandhamn, near the Swedish capital of Stockholm. The bunker operation was the first offshore ship-to-ship operation that was conducted by the 117 meter long BSV.